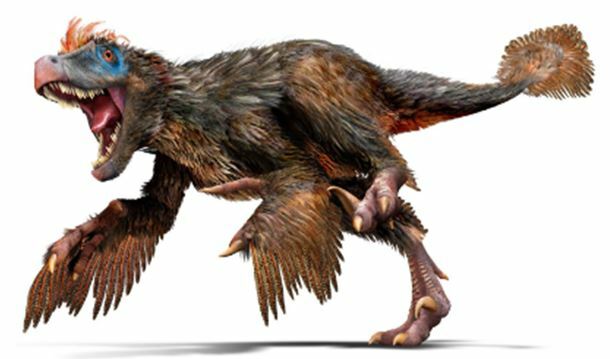 You may have heard the theories that modern birds are descendent from dinosaurs that roamed the planet in the Mesozoic Era (225-65 million years ago), like the Velociraptor depicted above. And that some of those dinosaurs, both large and small, are now purported to have had feathers. But, have you seen any of the direct evidence?